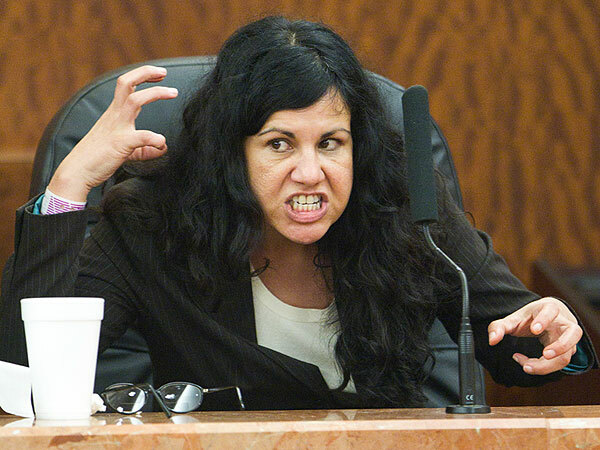 A Houston woman convicted of fatally stabbing her boyfriend with a 5 ½-inch stiletto heel told jurors Thursday that she killed him to save her own life during a lengthy fight in which she was chased down, knocked into a wall and thrown over a couch. Ana Trujillo took the witness stand for the first time in the two-week trial as part of the penalty phase that ended with her being sentenced to life in prison. During about seven hours of rambling testimony, Trujillo said she had been repeatedly abused by men and sexual assaulted.